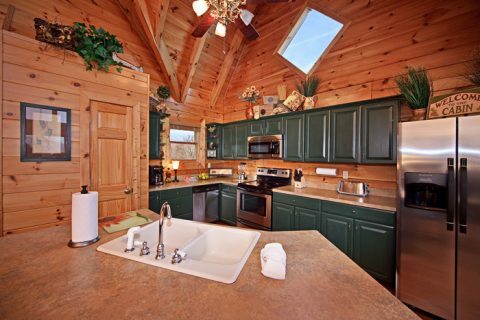 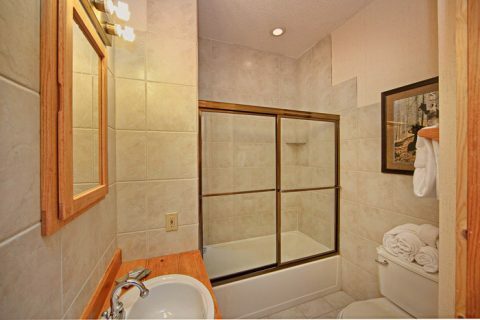 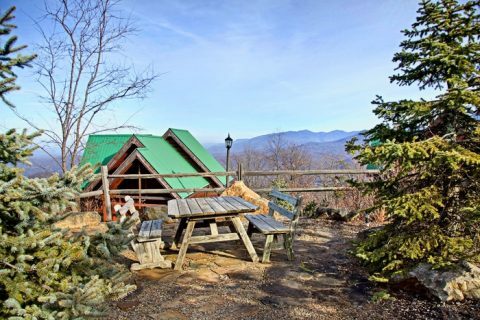 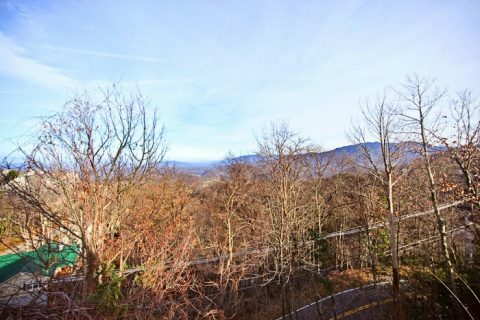 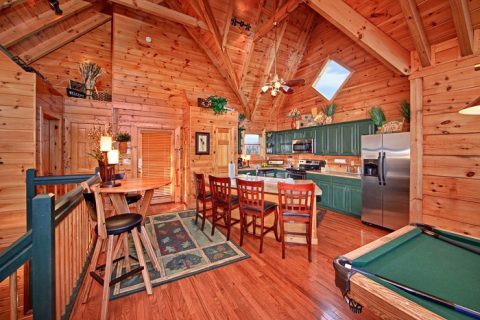 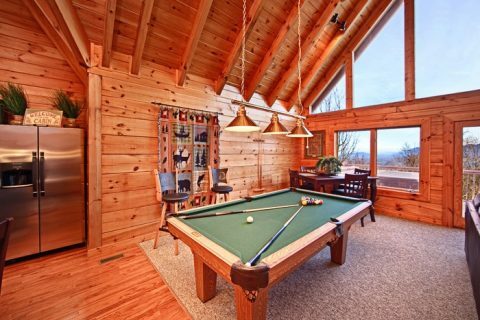 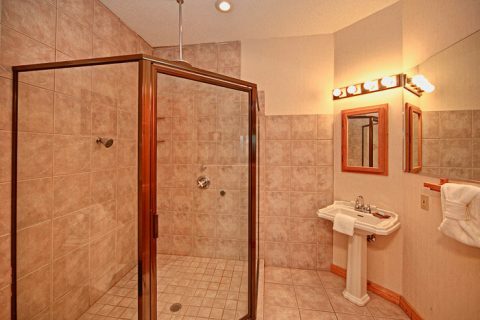 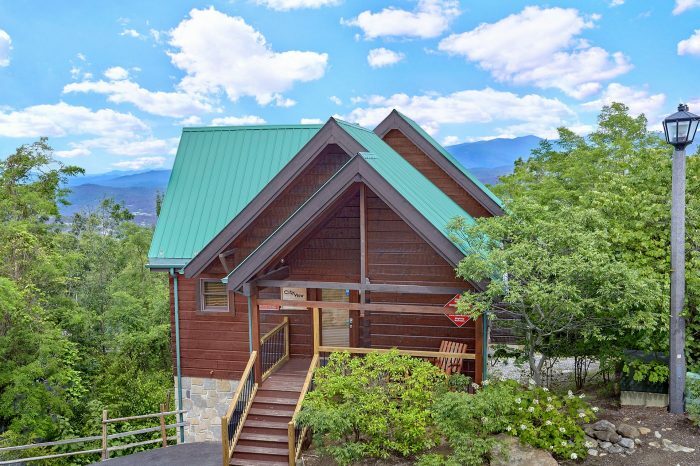 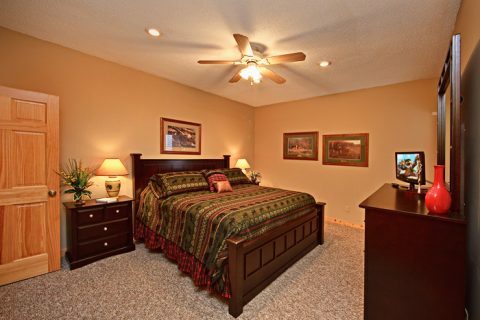 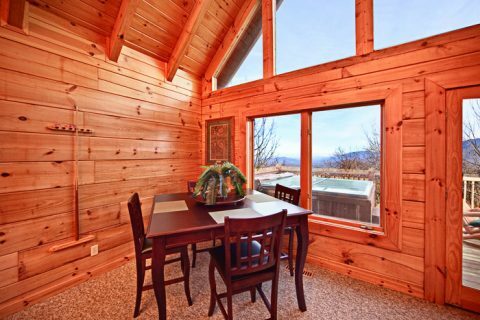 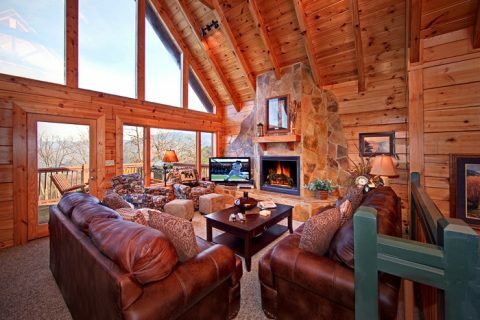 Tour our terrific chalet overlooking Gatlinburg in Smoky Mountain Village Resort! 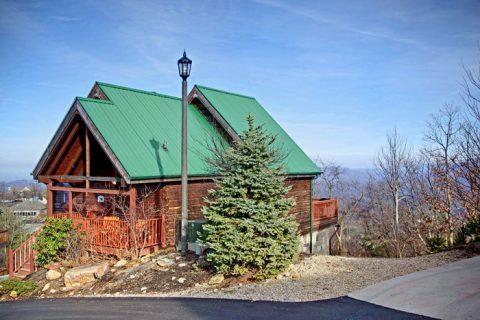 Treat your family and guests to the luxurious comfort of "City View Chalet," an affordable luxury 3-bedroom Gatlinburg chalet with mountain views and downtown views. 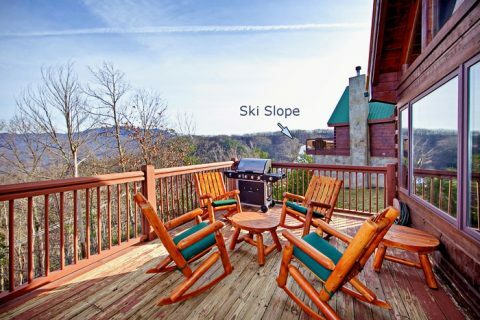 Your chalet overlooking Gatlinburg boasts amenities such as plush king and queen size beds, leather furnishings, flat-screen televisions, a beautiful, gas log stone fireplace, two rain head showers, a pool table, a fully equipped kitchen, and an outdoors picnic area with 280 degrees of outstanding mountain views! 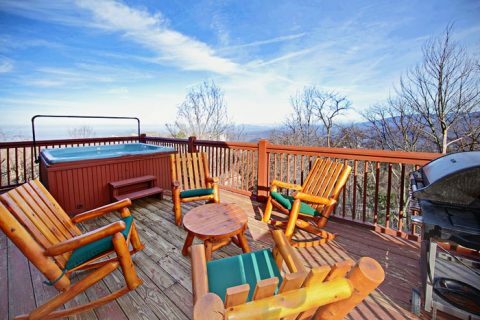 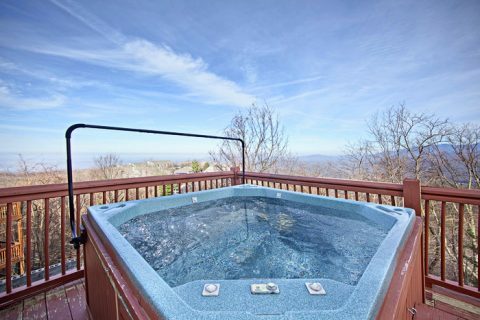 Additionally, guests can enjoy Smoky Mountain Village Resort's swimming pool during summer months and see spectacular year-round views from your chalet's family size hot tub. 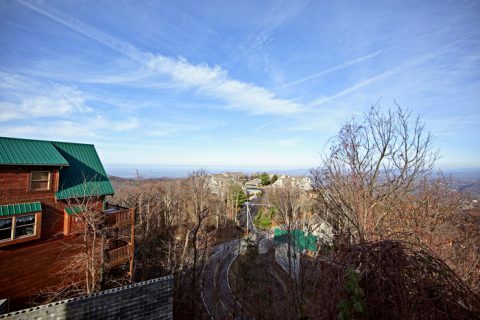 Smoky Mountain Village Resort places you in a prime location close to all the excitement of Downtown Gatlinburg. 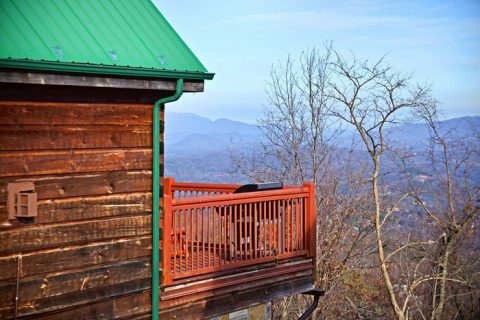 Book your chalet overlooking Gatlinburg online with Cabins USA Gatlinburg and start saving on your Smoky Mountain vacation accommodations with an immediate Online Chalet Savings!